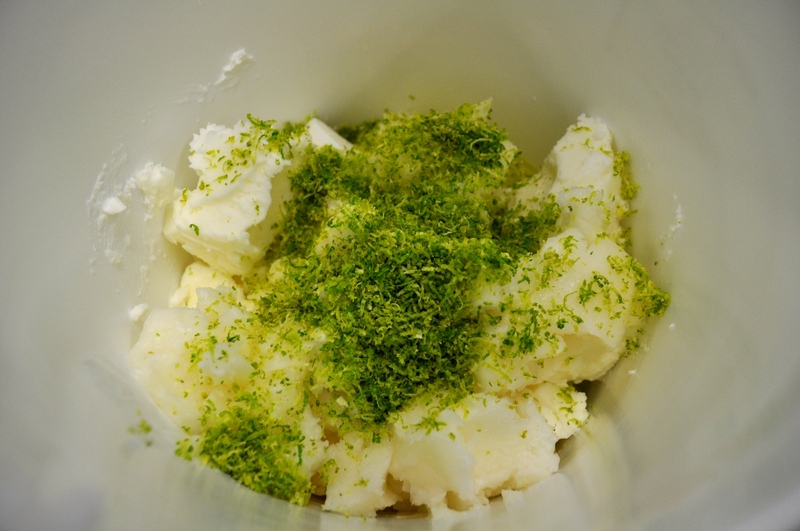 After I made the Lemon Zest soap, I decided I also needed to make a Lime Zest soap. 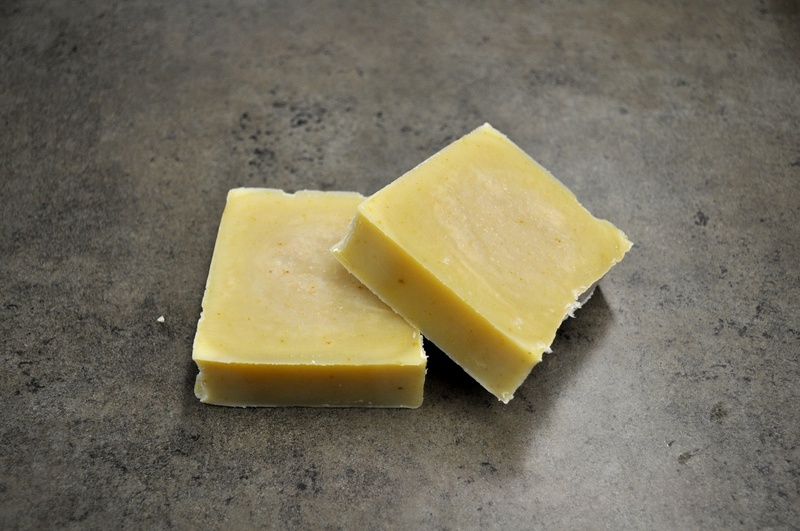 I used some Bay Rum Fragrance Oil to help scent the soap because so many masculine blends contain lime. I hope you enjoy this soap as much as I do! Zest limes. 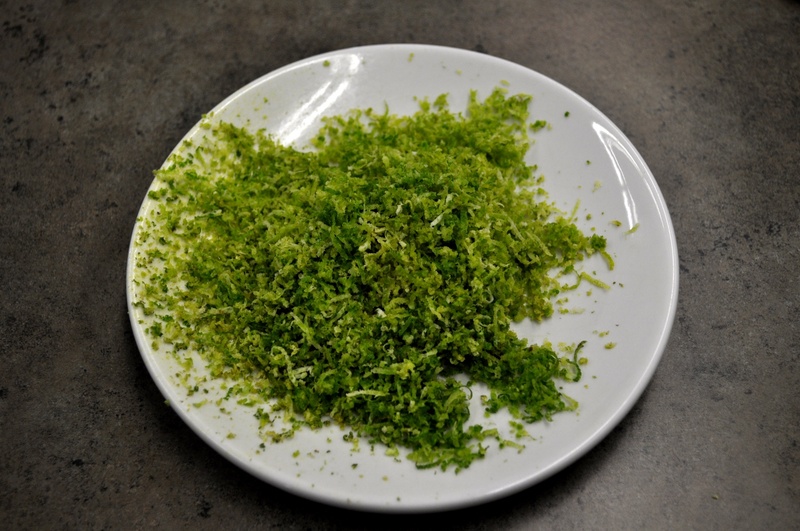 I used a fine Microplane / Zester to zest the limes. Set aside. No pith! The pith is the white part under the green. We only want the essential oil holding zest. 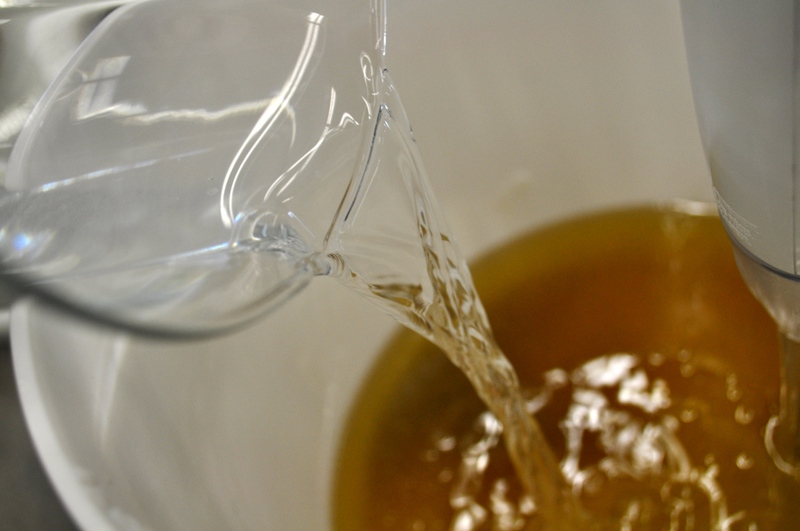 Weigh the Bay Rum Fragrance Oil and Lime Essential Oil into a small beaker and set aside. 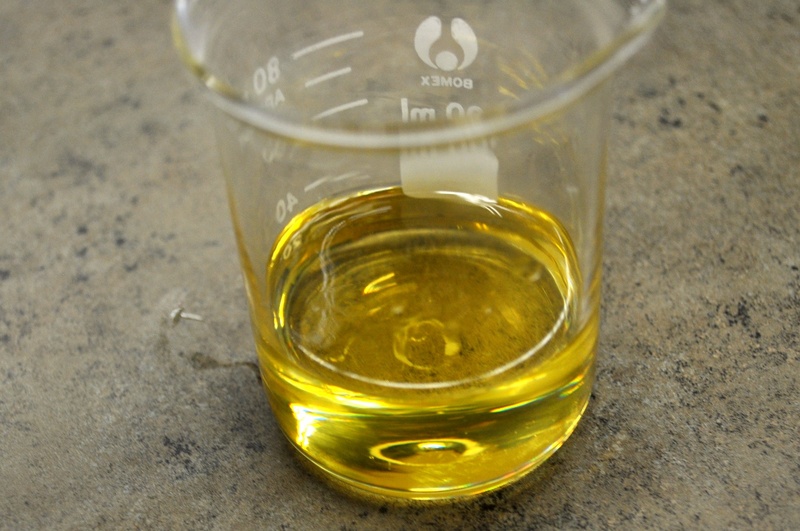 Measure fixed oils on your scale. 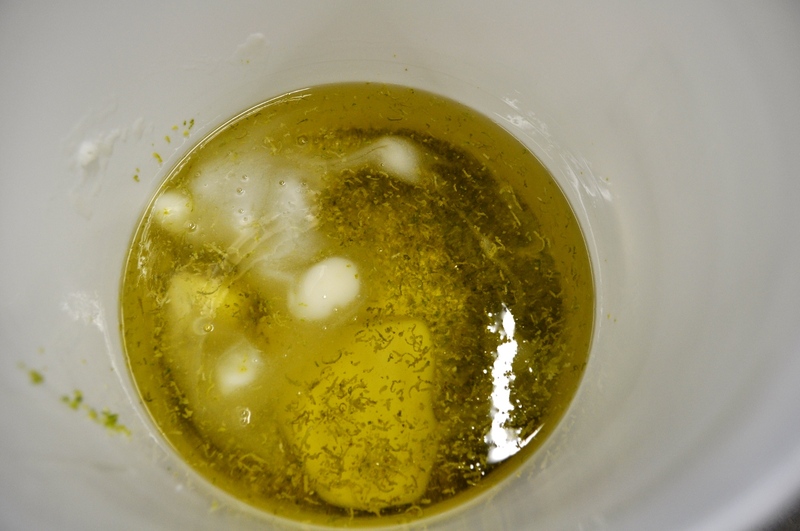 Add lime zest to fixed oils then warm on the stove or in the microwave. I melted the oils in the microwave. Add sodium hydroxide to the water. Mix well. Combine oils and lye solution. Stir until thin trace. 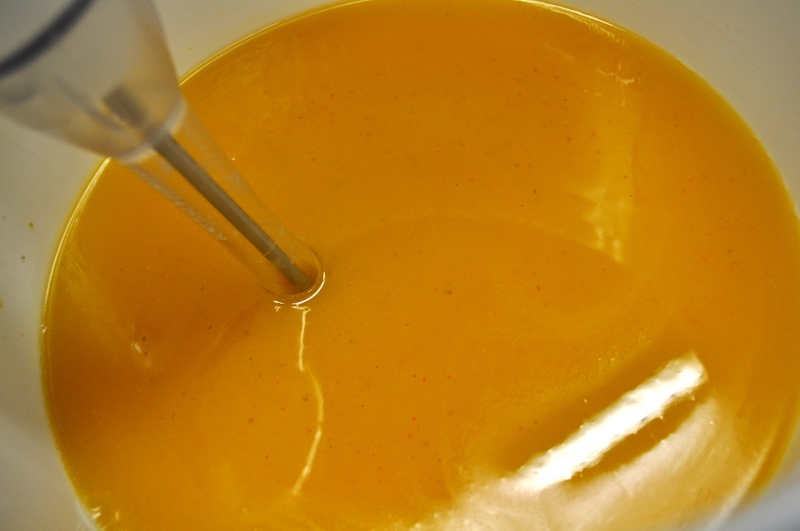 Don’t be alarmed when the soap turns a vibrant neon orange when beginning to mix the oils and lye solution together. Upon light trace, add the scenting oils. Stir well. Pour soap into molds. 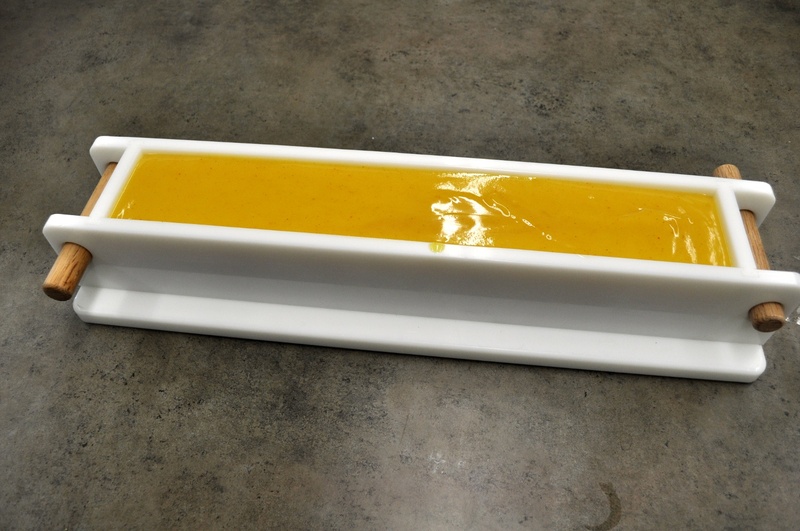 I used a soap mold that we have in our testing kitchen. Allow to sit until soap is firm. The next morning cut into bars. Stack to allow good air circulation. Allow to cure for several days before using. Longer curing will result in a harder bar. I added the lime zest to the oils before melting the oils to allow some of the lime oil in the zest to infuse into the oils. This allowed a nice triple touch of lime in the final soap. 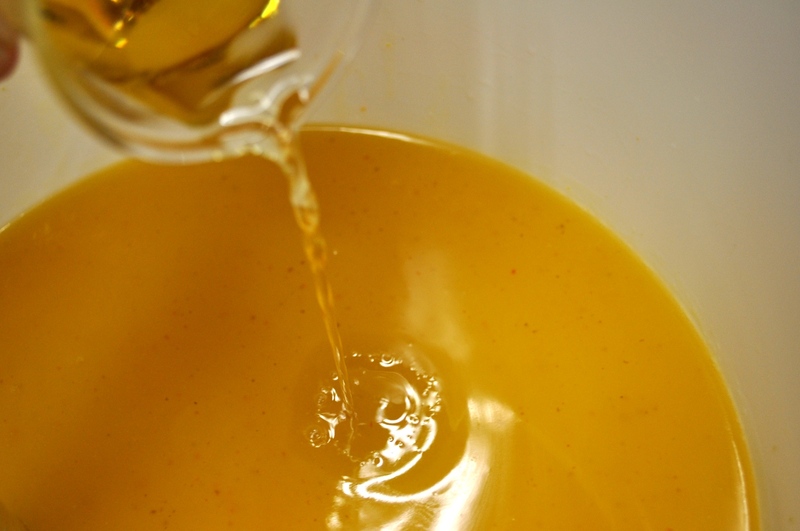 Like the Lemon Zest Soap, as I was beginning to mix the lye solution and oils together and the mixture turned a bright orange. After resting for 24 hours in the mold, I cut the soap and have watched the color change from a pale orange color to a dirty spring green yellow color. What can you do with the juice from the limes that have been zested? Check the blog tomorrow and I’ll show you! The Lime Zest soap samples have been sent to the Shipping Department to send out in orders. Lime zest added to the fixed oils. Melted fixed oils with lime zest. Adding the lye solution to the fixed oils. Wow! What a color change! Bay Rum Fragrance and Lime Essential Oils. 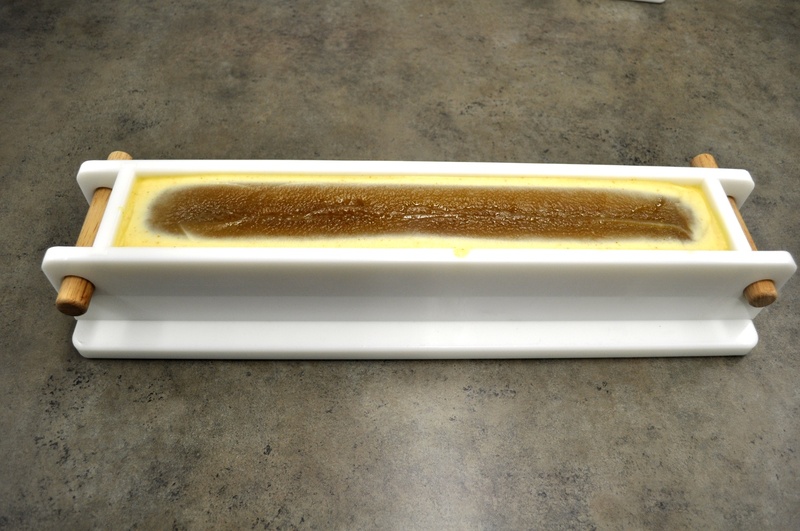 The raw soap in the mold. 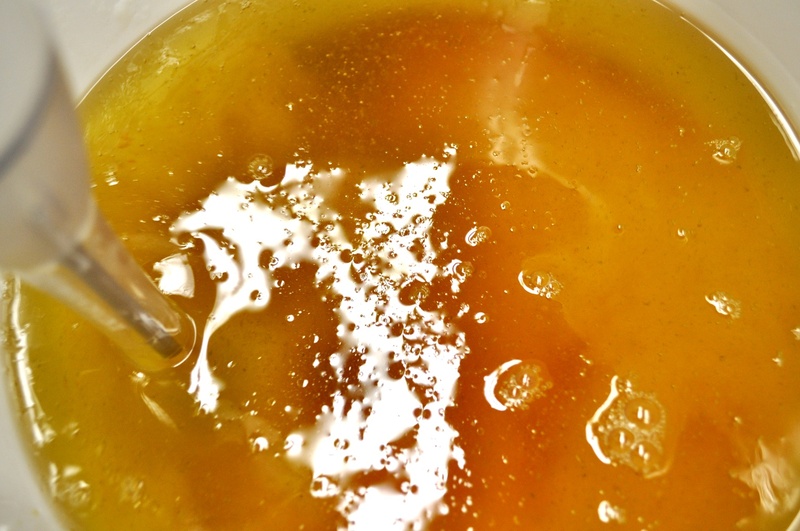 Adding the scent blend to the soap. 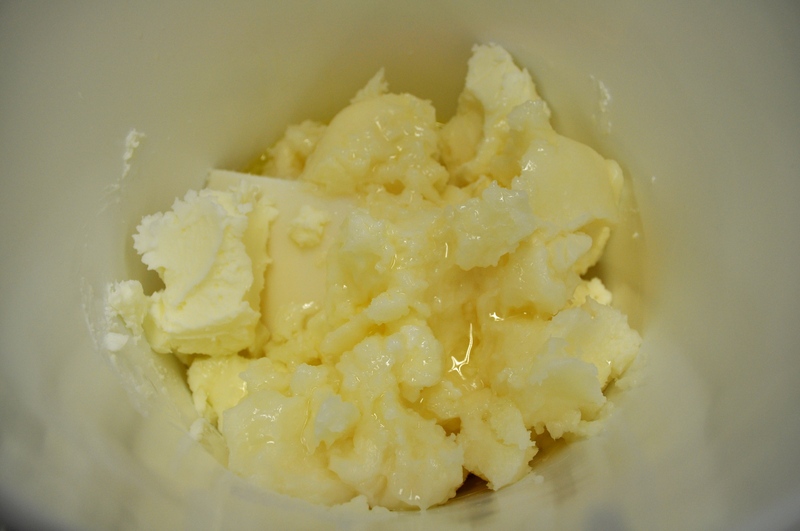 The soap is going through the gel phase.